Home Urbana, University of Illinois The Spanish in the Mississippi Valley, 1762-1804. 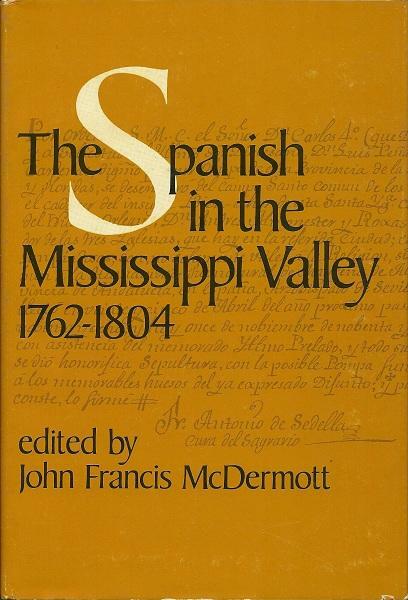 The Spanish in the Mississippi Valley, 1762-1804. Publisher: Univ of Illinois Pr, Baltimore, Maryland, U.S.A.
John Francis MeDermott, who has spent much of his distinguished career studying the early history of the Mississippi Valley, has assembled a collection of sixteen essays describing various facets of that region during the years that it was under Spanish control. Employing the same format that he utilized in two earlier works that surveyed French influence in the Mississippi Valley, MeDermott includes articles by many of Spanish Louisiana's most prominent scholars. The collection opens with Father John Francis Bannon's brief introductory essay which provides an overview of early Spanish activity in the Mississippi Valley. Three subsequent articles by Father Charles Edwards O'Neill, A. Otis Hebert, Jr., and C. Harvey Gardiner examine the present state of studies on Spanish colonial Louisiana and suggest future research opportunities in the field. The evolution of Spain's land policy is the topic of C. Richard Arena's essay, and this article is followed by William S. Coker's discussion of the role of the Bruin family in the formulation of Spanish immigration policies for Louisiana in the 1780s. John Preston Moore and Robert L. Gold relate incidents in the careers of Antonio de Ulloa and Bernardo de Galvez to the development of Anglo-Spanish relations in North America. Abraham P. Nasatir offers some newly discovered documents that help fill gaps in his previously published accounts of pioneer-explorer Pedro Vial, while Noel M. Loomis traces the activities of adventurer Philip Nolan and speculates about his possible involvement with James Wilkinson.